Welcome back to our students, teachers and parents to Term 4. This is always an action packed and busy term with Year 12s moving to their final exams and assessments and with numerous camps and activities already underway. I am pleased to welcome back Mrs Gillian Edwards and Mrs Liz Morgan who took some well-earned Long Service Leave during Term 3. On Thursday 19 October, we conducted the College Leaders Induction and hand over from our current Captains to the incoming Captains for 2018. The College has selected the new student leadership team based on their capacity for authentic leadership and their commitment to serving their peers and younger students. They are a strong group of young women and men who display integrity and principle. Thank you to the outgoing leaders of 2017 for being so actively engaged in so many aspects of Pedare’s life covering the academic, service, coaching and extra-curricular programs in sport and music. It has been a busy and fun year and I thank them for all they have done under the guidance of the College Captains Laila Moodley and Pal Tear. 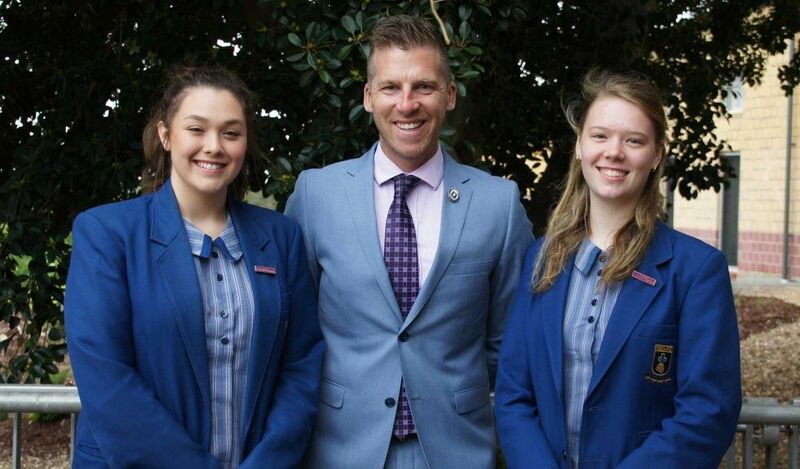 Please see below for photos of our 2018 Senior School Student Leaders. 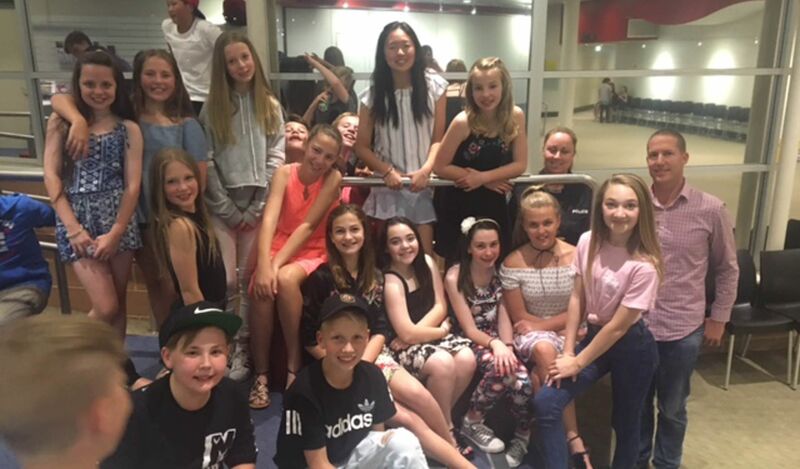 On Friday 20 October, the Parents & Friends kindly organised a Middle School Disco at the Golden Grove Arts and Recreation Centre. 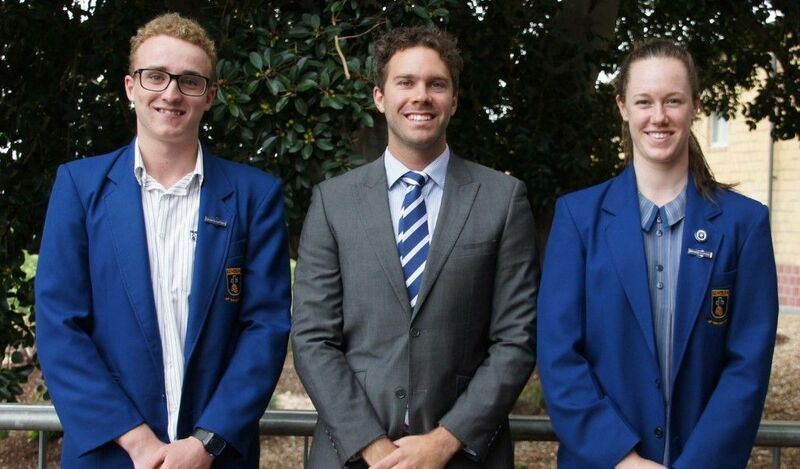 The P & F Committee members were keen to support and engage with Middle School students as they have felt that their support has been Junior School focused in recent years. We were very grateful for the P & F’s organisation of the event as they sought support from SA Police who provided the DJ and staffing on the evening. The students had a very enjoyable evening and thank the P&F for their commitment. The staff and student design teams have been busy considering the ‘block’ plans for the classrooms spaces in the new Junior School and Middle School buildings. In addition, the design teams have considered the landscaping and play spaces for both sections of the campus. The designs for the TTG Council development application are nearing completion. After meeting with Pedal Prix students and staff, I have made the very difficult decision to withdraw Pedare from the Pedal Prix events due to significant and ongoing safety concerns. 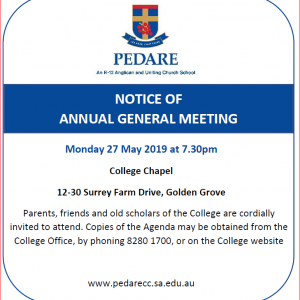 Please click here to view the letter sent to the Pedare Community. The critical concern is for our students’ safety. Unfortunately, the events have become professional sporting events with fast moving adult professional riders sharing the track with younger student riders. The younger riders have limited road sense and get quite scared competing with bikes travelling at twice their speed. In the last two years alone there have been two significant accidents involving students and it is only a matter of time before a Pedare student becomes part of a major accident on track. The race is no longer about students and their learning. In the past, it was about students building a bike in class to race against other schools and then looking at ways to modify their bike for next season. The race has really changed, and it is a professional sporting event. Schools are now spending more resources on buying professionally built bikes, worth on average $6500 each. Students are not a part of the build process as they do not have the skills to repair or build these “high spec” machines. Thank you to the students and parents who have so willing thrown their support behind our Pedal Prix teams stretching back to the very first event in 1994. The dedication of Pedare students to the concept of building and then riding their own bikes has been significant. Parents have supported the program with their volunteer work at fundraising events and by running the camping and catering for our teams. Term 4 is already proving to be a busy, fun filled term, full of activities and adventures for both the children and staff. 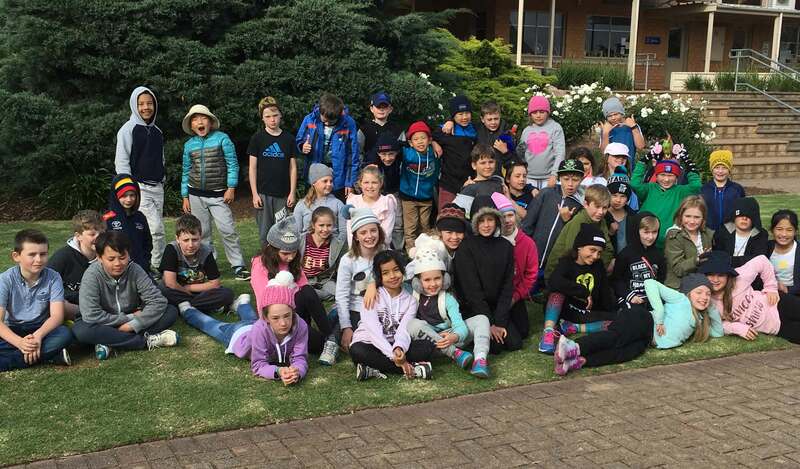 On 20 and 21 October, Year 4s had their sleepover at the Junior School, with students camping overnight in the school courtyard. I am pleased to report the behaviour, teamwork and spirit of the group was exemplary and the students represented the College and their families well. Many thanks to Ms Deborah Hansen and Miss Georgia Kriaris who joined both Mrs Melissa Clifton and myself on the camp. For our staff, there is always some movement from year to year. Change is a healthy part of a professional’s journey and next year there will be staff moving year levels, staff moving to new schools and staff moving on to new challenges. Currently, we are still deliberating over the staffing mix for 2018, and are dedicated to finding the right teachers and balance across the Junior School to support the children and families, and to continue to grow the programs we offer at Pedare. 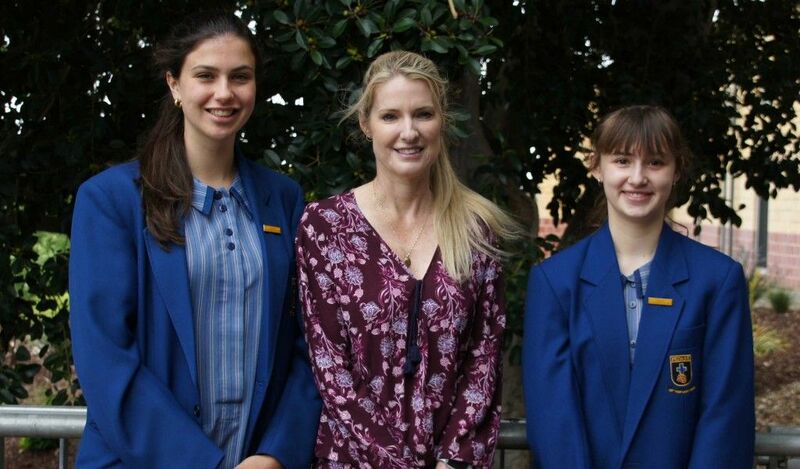 I recently shared with the school community Ms Deborah Hansen had resigned from her permanent position at Pedare to begin teaching at Kings Baptist Grammar. We wish Deborah and her family well as she takes on this new and exciting role and thank her for her many years of service as a classroom teacher. Recently, we began plans for the end of year transitions and celebration for our students. For some, this change will cause great excitement, and for others, a few anxious moments, these are normal reactions and we have programs in place to support all students. On Wednesday 25 October, our new Receptions for 2018 visited the Junior School and will continue for another two weeks, it is wonderful to welcome them and their families to the College. New students to Pedare for 2018 from Year 1 to Year 5 will be welcomed to the Junior School on Tuesday 21 November. Students will be buddied up with a current Pedare student, who will support and welcome them to our school. On Thursday 7 December, all Junior School students will have an opportunity to meet their class teacher and classmates for 2018. On this day, we will also be sending home the year level class lists along with the Semester 2 student Report. In Week 1, I met with all Junior School teachers and year levels and can affirm the high level of work and care Pedare staff have for each child. The curriculum, activities and events planned will ensure a busy and fun term. Please refer to the College website, calendar and newsletters for information about all the wonderful events planned for the remainder of Term 4. A very warm welcome back to the final term for 2017. 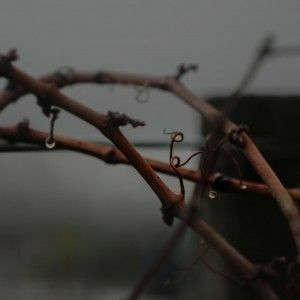 Term 4 brings with it a sense of achievement as we realise that we have toiled away for most of the year and are now down to the business end of the year. I spoke to all Middle School students last week highlighting that Term 4 is about rising to the challenges that have been presented to us in 2017. This term is not about cruising through to the finish line but about setting high expectations to complete the year on a high note. 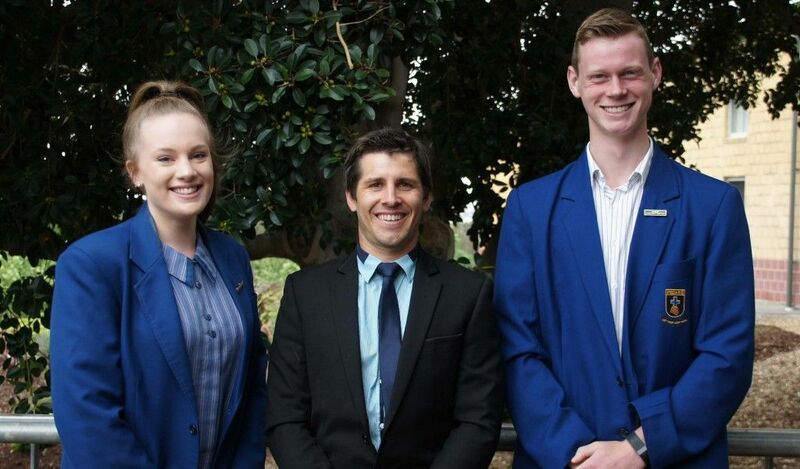 We want Term 4 to be our best term and the term where we continue to strive for excellence in everything we do. I asked students to focus on achieving the best academic results they can and that Term 4 presents the final opportunity for them to build on their results received so far. Term 4 is about putting in the effort to see success and as the quote above reads, all dreams are possible it is only when you stop trying to achieve them that they become out of reach. This week, Year 8 students will be coming home with an elective subject selection information sheet and will receive a link to enter their choices for 2018. 2018 Year 9 students can choose 4 elective subjects from a variety of options in the Arts, Technology, Health & Physical Education and STEM areas. It is strongly advised that students choose at least one subject from the Arts and one subject from the Technology curriculum areas to give them the opportunity to explore a variety of subjects. Aside from Music, subjects chosen at Year 9 level will not preclude them from choosing certain options in Year 10; however, developing an understanding of subject material and developing important skills in subjects that are likely to be pursued is strongly recommended. If you have any questions relating to subject choices please do not hesitate to contact the College or make an appointment with your child’s teacher to discuss elective choices. 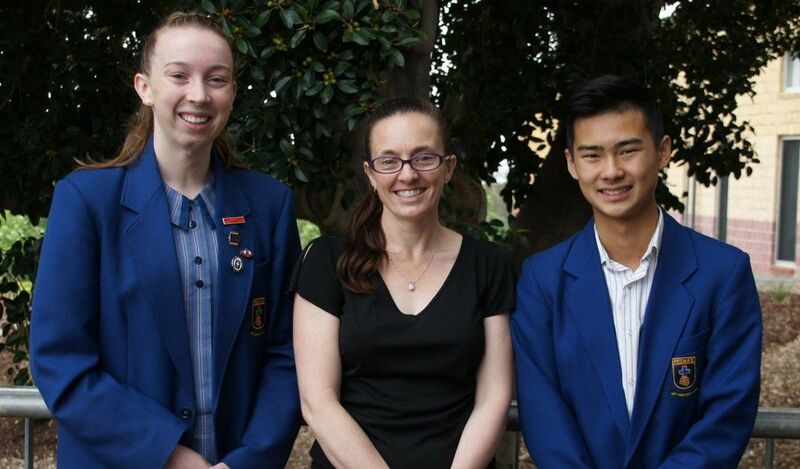 Our current Year 9 students should now have completed their 2018 Year 10 subject selections. 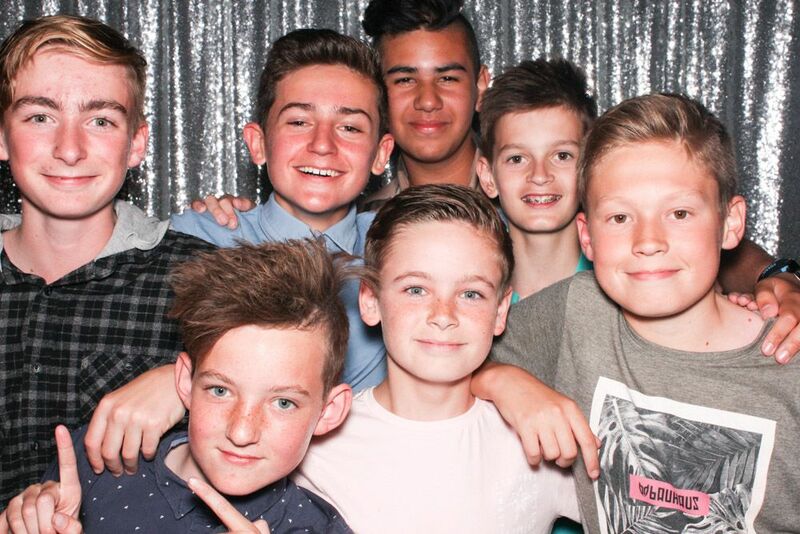 Thank you to all the students who attended the Middle School Disco last Friday night. The evening was a big success with many students enjoying the event held at the Golden Grove Recreation Centre. On behalf of students a big thank you to the P & F Committee for the very quick and excellent organisation of the event. The students danced all night and the many smiling faces as they left showed they all had a great experience. 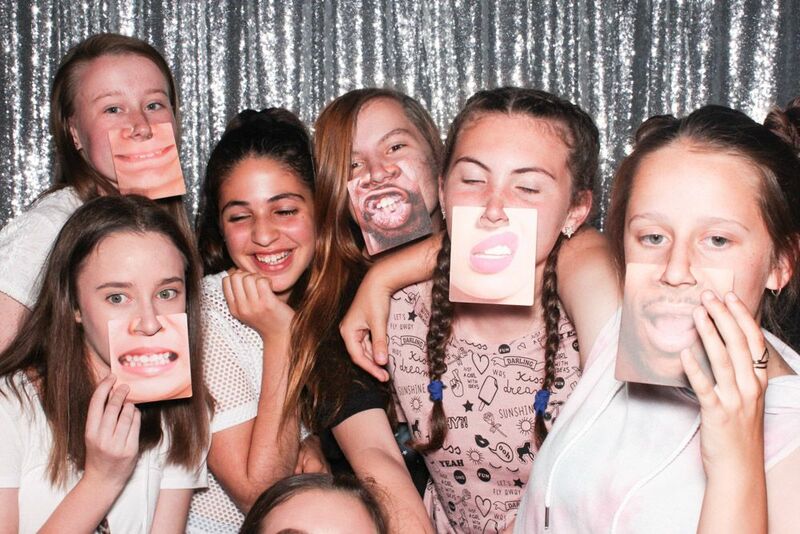 Many students spent some time in the photo booth to capture some impressive images of the night. We look forward to the next event! Over the coming weeks teaching staff will be organising students into their core classes for 2018. Classroom teachers take into consideration the academic, social and pastoral needs of every individual student and place them in a class that best suits them and provides them with the best opportunities to succeed. If you feel that there is a specific educational consideration that the College should know about regarding the placement of your child, please forward any such request to Mrs Jude Johnson jjohnson@pedarecc.sa.edu.au by Friday 3 November (Week 3). The College will endeavour to meet these needs where possible. 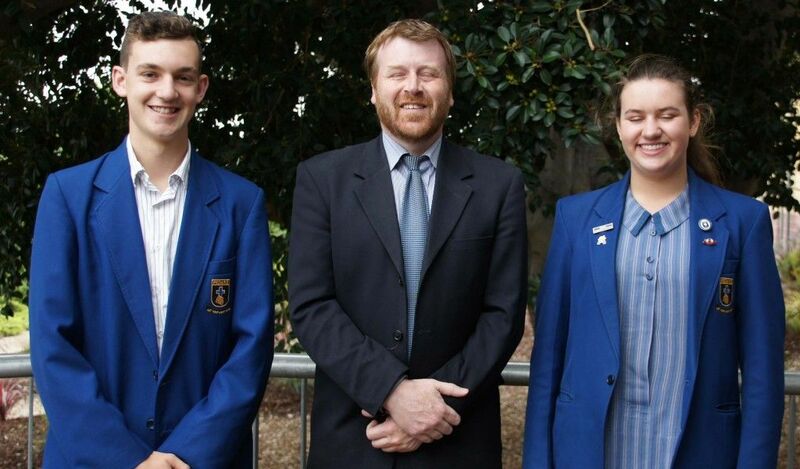 We wish the current Year 12 students success for their upcoming SACE exams. We hope that they can perform to the best of their ability at this very important time for them. Welcome to Term 4. As we move quickly into the busyness of the last school term for 2017, for many of our Senior School students, there are mixed emotions as they begin new experiences. 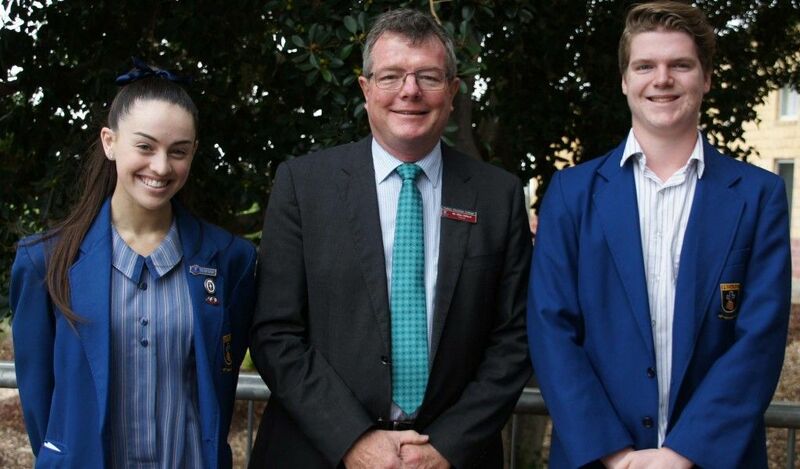 For the Year 9s, they have had their first taste of the expectations of Senior School, as they commenced the subject selection process for next year; for some Year 11s, they have been inducted into their student leadership positions and taken on the responsibility of these significant roles; and for the Year 12s, the realisation, following a series of farewells that culminate in their final day of secondary schooling, there is both sadness at leaving familiar surroundings and excitement for what lies in the future. Nevertheless, there are still quite a few weeks of academic endeavour ahead for all of them, including on-going learning of the curriculum, final assessment tasks, revision, examinations, results and reports. To this end, they have all been encouraged to stay positive, keep focused and apply themselves to do their very best right up until the end. The Year 11 Geography students are looking forward to their Semester 2 Camp; the Year 10 and 11 Drama students are rehearsing for their performances, the Year 12 Music students have performed for their final moderation, and so it continues. Thank you to the Year 9 students and their parents who attended the recent Information evening to outline the 2018 Year 10 curriculum. Thank you to the families who attended the Induction Assembly which saw the new Senior School student leaders commit to their responsibilities. We look forward to working with them, as we also acknowledge the time and effort the out-going leaders have given in service to their Communities and to the College. 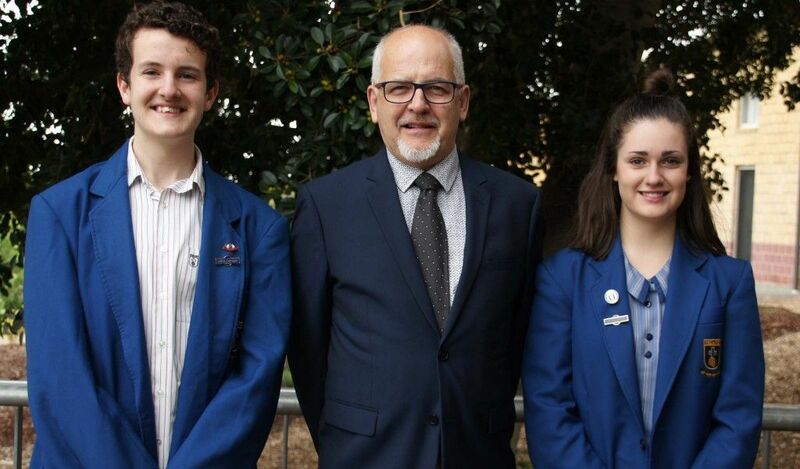 And to the Year 12s, we continue to uphold you and your families in our prayers and wish you well as you begin the list of farewells: from your individual Communities, from your Home Groups, from your subject teachers and from the College on your final day before SWOT VAC commences. Following your final examinations, we can’t wait to meet up with you again at your Formal on Wednesday 29 November and at your Graduation at the Senior Thanksgiving Service on Tuesday 5 December. On Friday 27 October, the 2017 Year 12s celebrated their last day at Pedare. After a delicious catered breakfast for family and friends in the Wattle Centre, the Year 12 cohort and invited guests made their way to the Chapel to have the final formal Assembly. After worship was presented by College Chaplain Mr John Morton, the students gathered in Community groups to be award a commemorative candle and T-shirt, before moving to the oval for their performances. As is the tradition, Years 6 -11 formed a Guard of Honour for the Year 12s’ final farewell, which included lots of tears and hugs for family, friends and staff, followed by the signing of the T-shirts in the Chapel foyer. As the Class of 2017 embark on the next exciting journey of their lives, we wish them good luck and every success in all they endeavour to do. Registration for 2019 Academic Scholarships are now open to both new enrolments and current students and awarded following the ACER examinations. The value of the scholarships is up to 50% tuition fee remission with Scholarships being reviewed on an annual basis to monitor the student’s continuing performance. It is expected that recipients will complete their schooling at Pedare. The ACER scholarship examination will be held at Pedare Christian College, 12-30 Surrey Farm Drive, Golden Grove on Saturday, 3 February, 2018. On Friday 20 October, Year 4s camped overnight at the Junior School with the assistance of the Wilderness Escape Team. Students were separated into groups before orienteering with a map around the school to find hidden markers that spelt out the word ‘BILLYCART’. 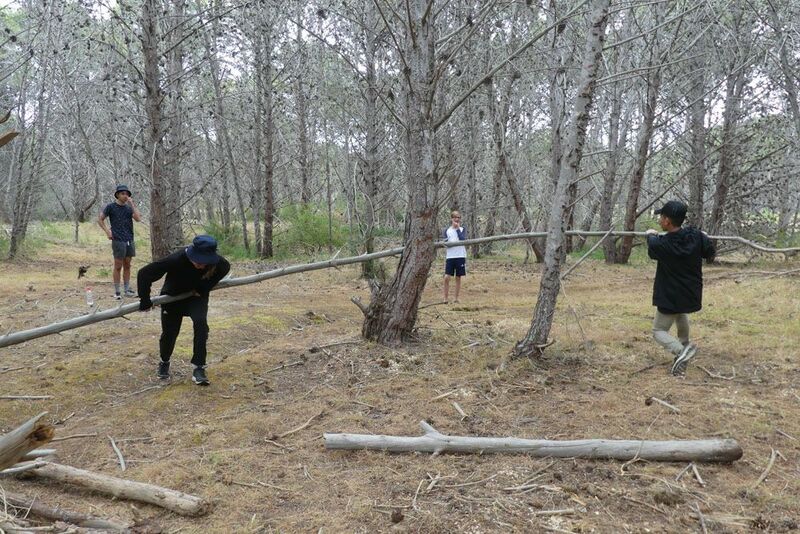 This was followed by several teamwork activities such as, the helium rod, power ball and the three pillars. One teamwork based activity was ‘hover boards’, which was a favourite of many of the Year 4s. The next activity was to craft Billy Carts before racing eleven laps around the designated track. It was then time to set up the tents. After dinner, all the students were asked to wait under the library veranda where a fox was seen walking around the courtyard. Although, at first, teachers thought it was a cat. Then it was time to go to bed. In the morning, students were woken up at 6:30am. While breakfast was being prepared, students enjoyed some free time before lining up for cereal, bacon and eggs. Once breakfast was finished, students played a few games before heading for home, feeling a little tired but happy to have enjoyed their exciting camping experience. 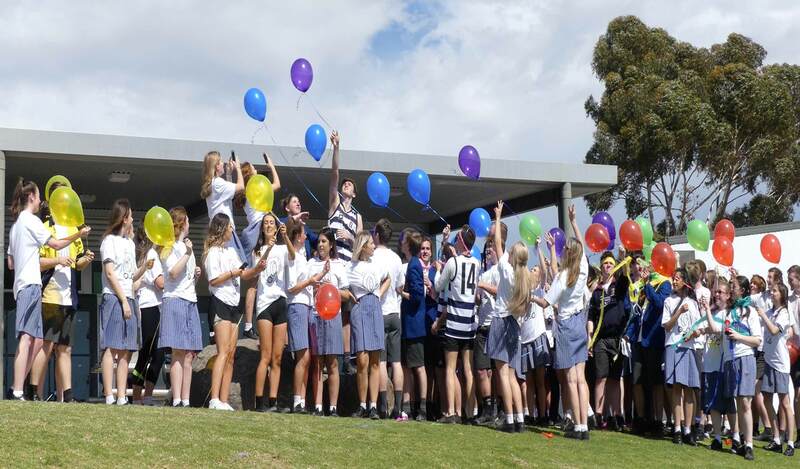 On Thursday 26 October, the Middle and Senior School held their annual Spring Carnival. Although the weather could have been a little warmer, the atmosphere was filled with great excitement. 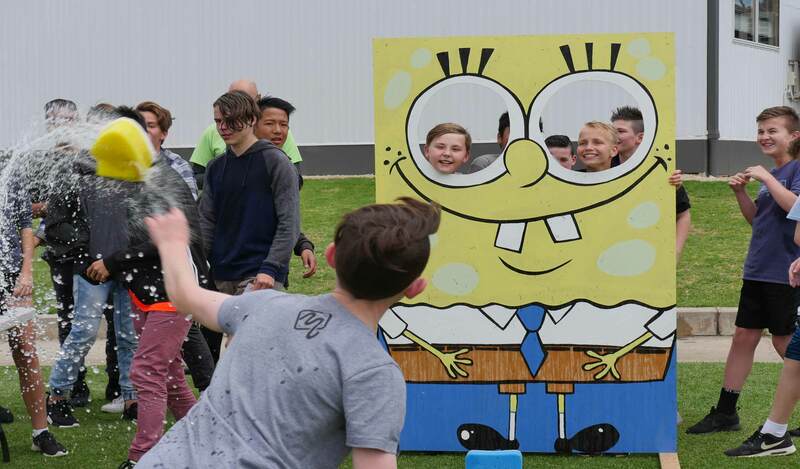 This year, students had the opportunity to try some Sporting Challenges, Side Show Rides and Food Stalls. Some of the Side Show activities included, Dunking Machine, Bubble Soccer, Bouncy Castle and Wet Sponges in the Face. Students could also test their skills with Pop the Balloon and Shoot the Can. The Teacher Dares is something for everyone to look forward to, and is held at the end of the Carnival. Some of the teacher dares included Family Feud and the very popular, General Knowledge – Whipped Cream in the Face competition. The food on offer was also a highlight, with students and staff able to purchase Baked Potatoes, Pizzas, Donuts, Ice-cream Dessert Tacos, Loaded Shakes and Slushies. All money raised at the Spring Carnival goes to Kids Helpline and UnitingWorld. 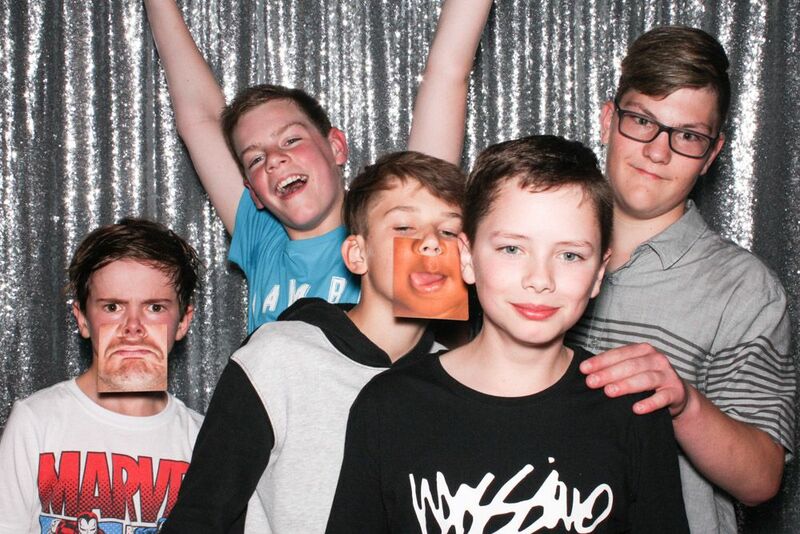 On Friday 20 October, Pedare P&F alongside the Holden Hill Blue Light Disco Committee, hosted their inaugural Middle School Disco. The night was well supported by students who arrived ready to dance and catch up with friends (away from social media and to interact in person). 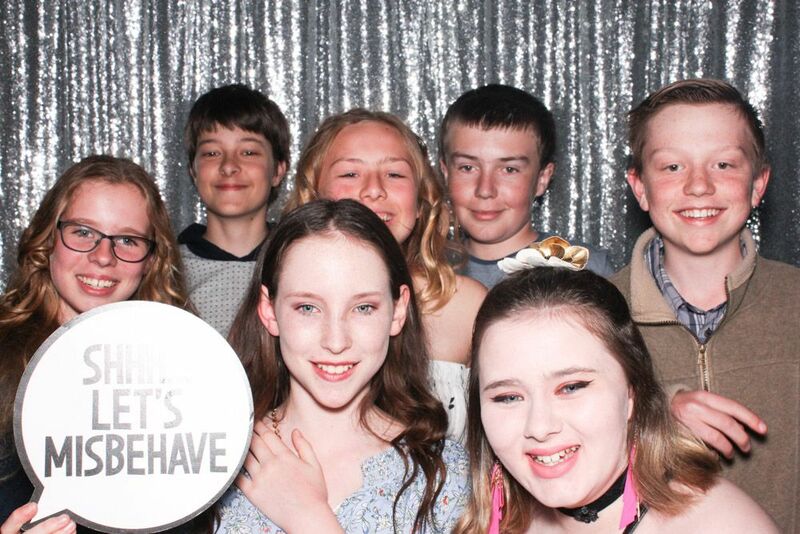 The DJ belted out tunes both current and a few oldies, including the ‘Nutbush’ and, as a result, the dance floor was full all night, along with the line-up for the photo booth! Mr Whiteman and Mr Millard were our teacher hosts for the night and as usual the behaviour of all the children was commended by the police officers and the other staff present on the night. Feedback has been extremely positive with the children already questioning the date for the next disco event. For those children who attended the disco, the photos taken in the photo booth, have been forwarded to you as our gift for showing your support for this inaugural event. Please refer to your email. Our sincerest thanks go to the parent volunteers Annette Silby, Sarah Carrigan, Tanya Warne, Bonnie Kopec and Mike Brett and our Year 10 students Brooke Carrigan and Nic Silby who also volunteered their time to make this event happen for the Middle School. The Parents and Friends wish to thank the police officers for their attendance and support both physically and financially and a special thanks to the amazing students who supported this event making it a possibility for future Middle School students. On Wednesday 25 October, Year 6 students participated in a Chinese Martial Arts workshop. 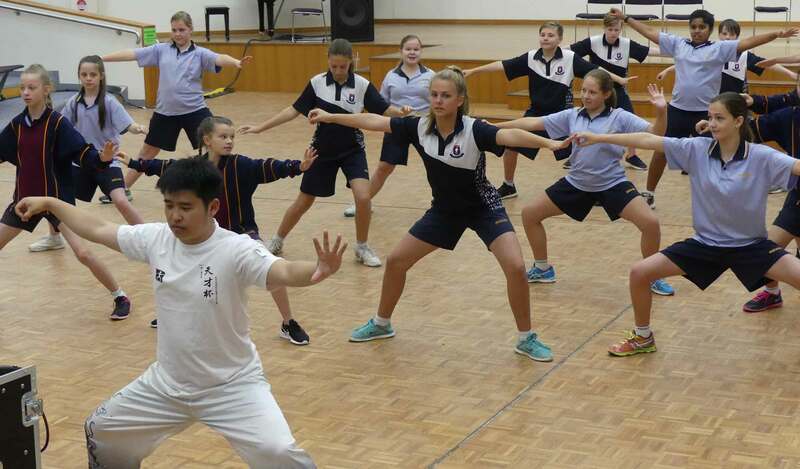 Master Ye, who is a well-known Kongfu Master in Chinese martial philosophy of Chinese society, was invited to the College to share with the Year 6s the art of Tai Chi. This workshop offered an excellent opportunity for our students to further explore Chinese culture by practising Tai Chi movements, with students showing great enthusiasm as they experienced the spirituality of this art. 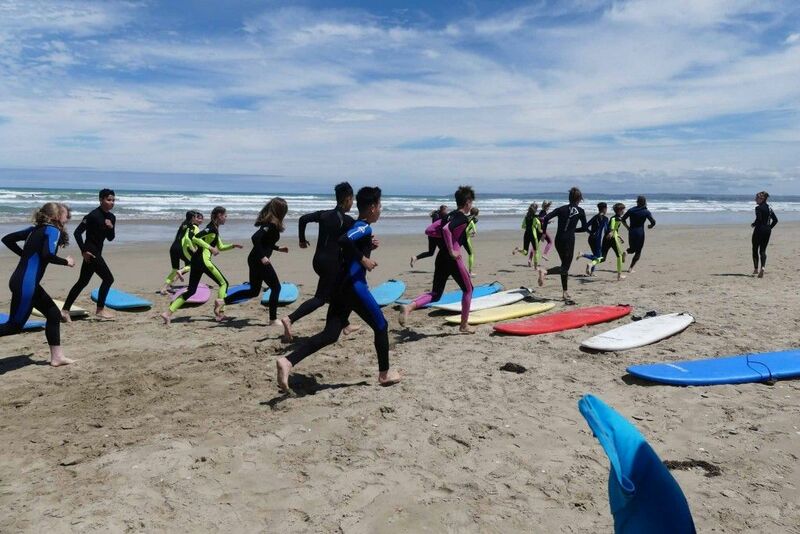 In Week 2, the Year 8 cohort undertook a journey to the Fleurieu Peninsula to continue developing their life skills and personal development in the Pedare Christian College year level camp program. 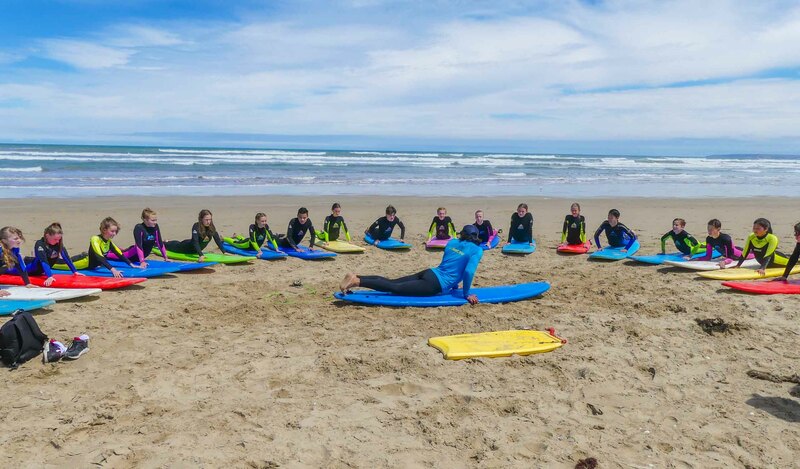 Students had the opportunity to test the waters, getting their toes wet at Goolwa Beach during surfing sessions where they demonstrated their balance and patience by attempting to stand on a board skimming across the top of the water. Students navigated their way to the campsite, utilising the expertise of the Wilderness Escape Outdoor Adventure staff and their previous camp experiences of paddling a kayak. 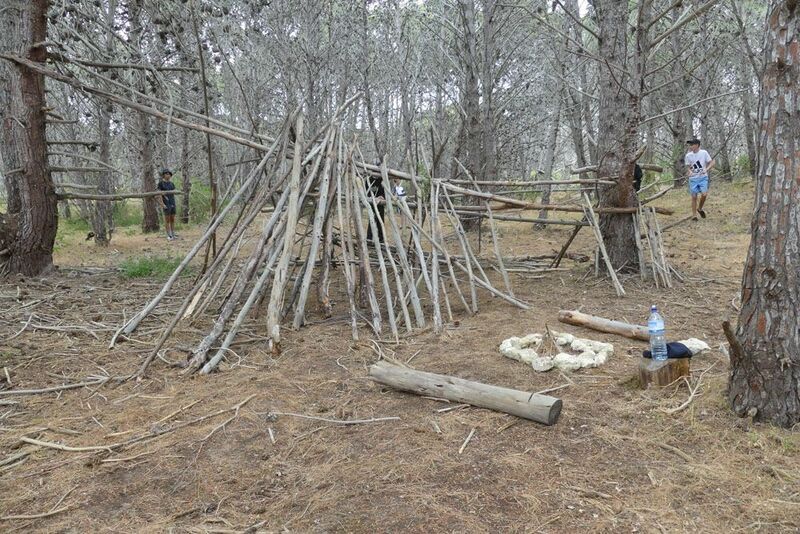 Students were kept busy at night cooking their own dinner and retelling the stories of the day, only to wake the next morning to build themselves a group shelter as part of their camp challenge. Camp is a great chance for students to continue to build their knowledge and respect for the environment away from the constraints of the classroom. In Week 9 of Term 3, a number of Year 9 and Year 10 students attended CHOOSEMATHS Girls Enjoying Maths Day, hosted by the University of Adelaide. This event inspires female interest in maths related degrees. “Throughout the day, we had the opportunity to listen to five female speakers, all knowledgeable in their specific area of Mathematics. We listened to a Masters student at the University, who has completed a Bachelor of Mathematical Sciences, and is now working towards a Master of Philosophy. She is using maths to work towards predicting the most likely routes of smugglers of illegal animal products. It was interesting how mathematics can be used in the conservation of animals, as these were two branches I never really thought were connected. 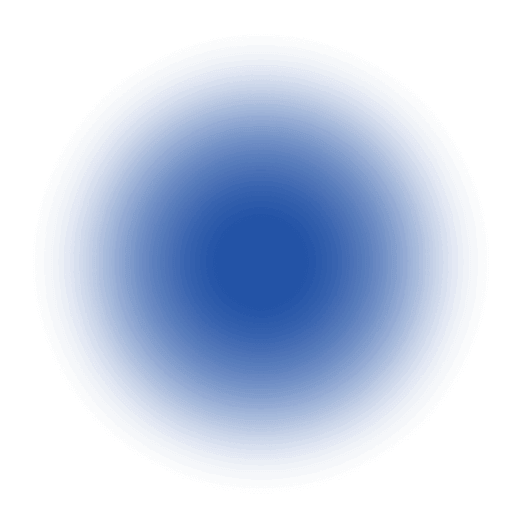 We also heard from another Masters student who is majoring in Pure Mathematics, who invited us to consider the concept that there are different sizes of infinity, which seemed slightly mind-boggling at first, however made complete sense once she explained it to us. Interspacing the speakers was a range of interactive activities that got us to thinking for ourselves. We reflected on the reasoning behind Pythagoras’ theorem, using cut out shapes, learned about Pascal’s triangle, and used modelling equipment to create interesting 3D geometric shapes. We were then given a tour of the campus. 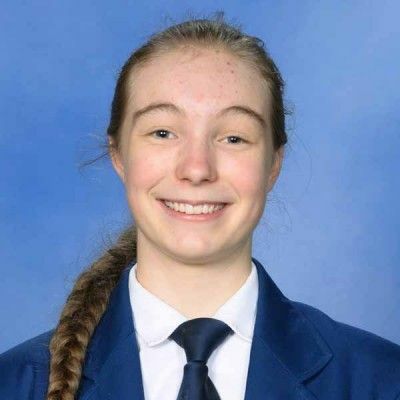 An update about Sophie Szabo, Year 11, who was recently invited to represent Oceania High School students in Yunnan, China to compete in the World Chinese Bridge Competition. Sophie follows in the footsteps of Old Scholar, Callum McGing, Class of 2016, who competed in 2016. This prestigious event, with 96 countries and 110 teams participating, involves competing in Chinese speech (both spontaneous and prepared), cultural performance, written and listening test, language games, including Chinese proverbs, classical poems and stories. So far, Sophie and her team have achieved a top 5 position. Further updates on Sophie’s progress will follow in a future newsletter. 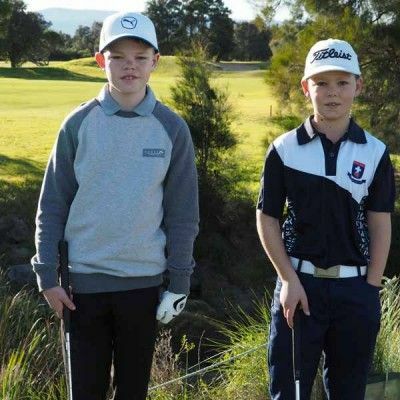 Recently, Year 4 students Jack Haberfield and Josh Polkinghorne qualified for the State Playoffs in the local Golf competitions. Jack and Josh were attempting to make the State Team. Jack managed to shoot 69 in the par 50 course at Adelaide Shores. Josh shot 107. Congratulations to Jack who was asked to return the following day and was very hopeful to make the team sitting in 10th position. Well done Josh for playing some brilliant golf to get to this stage, especially considering he was competing against Year 6s and 7s. Hopefully he will be right in the hunt for selection next year. Congratulations to both Josh and Jack. 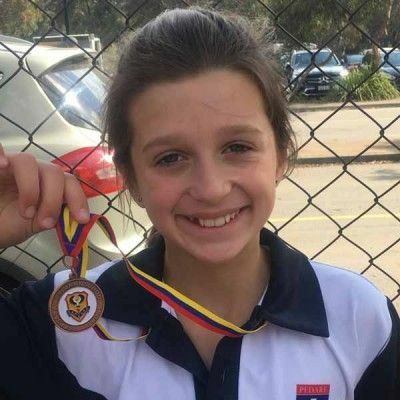 Congratulations to Kiera Geesing, Year 5, who has been selected to represent South Australia in the upcoming SAPSASA in School Sport Australia Pacific School Games 12 and under Track and Field Championships. The competitions will be conducted in Adelaide from Saturday 2 to Wednesday 6 December 2017. Kiera was selected from her performances in the SAPSASA State Day Athletics competition where she came 3rd in the Discus and 4th in the Shot Put. We wish Kiera all the best of luck in the upcoming Championships. 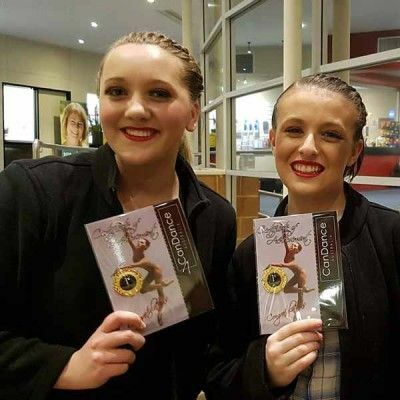 Congratulations to Year 12 students, Khayla Weber and Laina Tennosaar, who achieved first place in the Open Jazz Duo/Trio section at the CanDance Competitions held at the Golden Grove Arts Theatre during the last school holidays. Both girls are from Dance Images who are involved in teaching dance at Pedare. 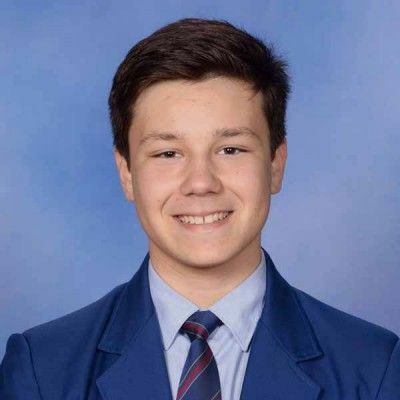 Congratulations to Cooper Schahinger, Year 9, who recently received an A (honours) in his Grade 3 AMEB Piano for Leisure exam. 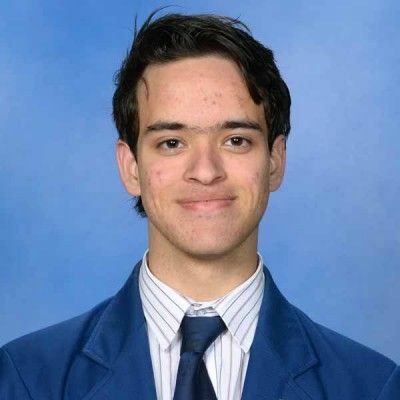 Congratulations to Thomas Howe, Year 10, who was awarded a B+ High Credit for his AMEB Grade 4 Singing for Leisure Exam. A great effort in a busy musical year. Extra-Curricular Fixtures are available on the Pedare App and on the College website. 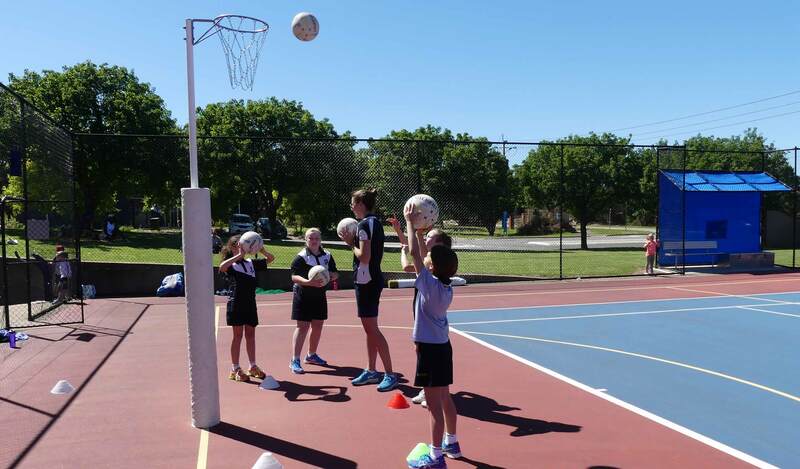 After a short break from classwork, early mornings and the netball court, it was time for Pedare’s Netballers to meet up on the last day of the school holidays for a fun-filled morning of all things NETBALL! The morning started with a warm welcome to our summer season players and an introduction to our 3 specialist coaches; Chelsea Blackman, Fiona Hunter and Fiona Themann. Pedare Year 11 student and coach of our Sub Primary team, Chelsea, was kind enough to offer her experience in defence to the girls on the day, after coming off an extremely successful 2017 year. Some of her accolades this year include: 17/U National Championship Winners, MVP 17/U Grand Final, SA Premier League Premiership and most recently, Thunderbirds training partner for 2018. Our specialist mid-court attacking coach and SPIN+ Senior girls head coach, Ms Hunter, kindly gave up her last day of school holidays to share her many years of experience and expertise to our budding netballers! They left her skills rotation with big smiles and red cheeks, showing they had enjoyed their session learning new tricks while working hard in the warm sun. Goaling was the third specialist session all students had a go at with Ms Themann. Players focused on correct stance, technique and shooting under pressure. Remember girls, practise makes perfect so persevere with the correct technique and you will see improvement! Students then finished with a short game of match play to put into practice their newly acquired skills. And let’s not forget the end to the day, Mr Willis’ and Mrs Hart’s sausage sizzle and FREE Chobani yoghurt for all! With the students off the court, it wasn’t long before parents were out on court for their viciously competitive game of Walking Netball. Although some of the interesting rules were questioned by some disgruntled players, the quality of the game play was surprising! I think a round robin parent competition might need to be organised for our next Pedare Netball Clinic! A big thank you to all families who attended the morning clinic, it was positive to see the great turnout because without you, the girls would not be able to get to and from trainings and games, so again, thank you. 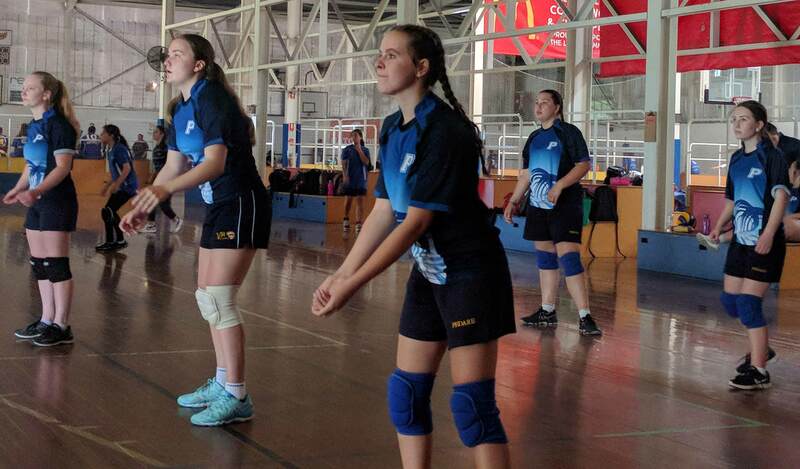 The Year 8/9 Knockout Volleyball Competition was held at the MARS sporting complex on Wednesday 25 October. The competition consisted on teams from 5 other schools, and 5 matches were played. The boys were not successful, however all who played showed great determination with many games lost by only 2 points. The girls experienced more success, however they did not qualify to move onto the next round in the competition. Well done to all that competed. 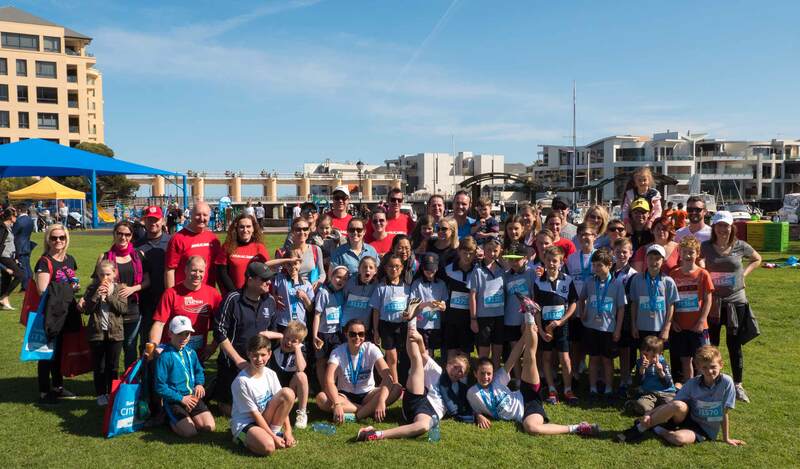 25 Pedare students from Years 4 and 5 trained throughout Term 3 twice a week in and around the local area in preparation for this year’s City-Bay Fun Run. On Sunday September 17, the day of the event, we had 21 students, 5 parents and 7 teachers participating in the 6-kilometre event. Conditions were perfect for the run with the sun shining down on us. As in past years, we ran in support of AnglicareSA, with teachers and parents wearing the Anglicare t-shirt on the day. Money raised for this worthwhile charity will be donated to AnglicareSA’s Star Bear. After the race, we relaxed on the lawn of Wigley Reserve and were provided with breakfast and refreshments from the AnglicareSA team. A great feeling of delight and sense of achievement shone through as the students reflected on the event. It was good to sit and spent time together as a Pedare Community team. Lorcyn Murdey-Green managed to get filmed by the Channel 9 news team which was exciting. Thank you to all the parents involved, as well as Mr Pearce, Mrs Logan, Mrs Booth, Mr O’Brien, Ms Aiken and Ms Hansen who trained with the students and also ran in the event on the day. It is always great to witness the enjoyment and satisfaction the students gain from the whole experience, especially post-race. The Catford Library is again collecting Christmas gifts this year, to be donated to St Vincent de Paul Society for those less fortunate. Suggestions for items to buy have been given to students’ Home Group teachers. Please remember not to wrap your gift. Thank you for supporting this worthwhile charity. Come and join us. Generators kids club meets Fridays each fortnight for great games, craft and bible time. Our next kids club is on Friday 3 November, in Term 4, from 3:30pm-5:00pm at 19 Perseverance Road TTG. This week’s craft is Vortex Chatterbox. 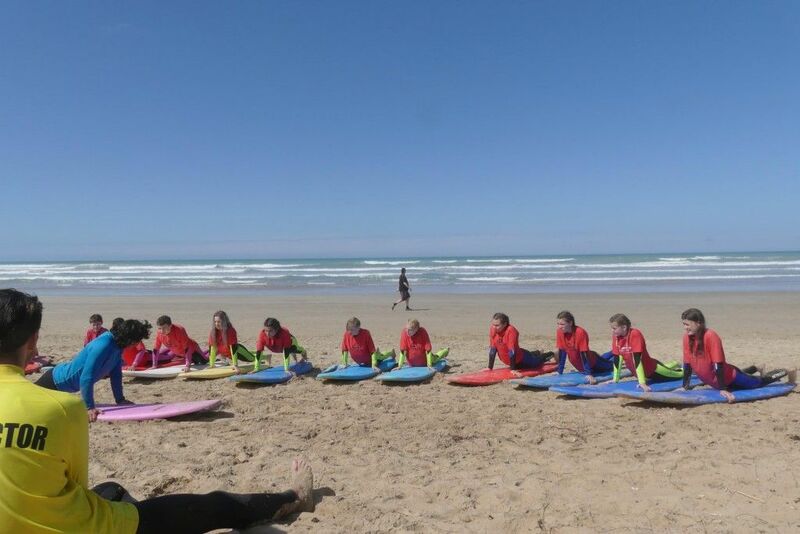 Phone Rick on 8264 3736 or click here for more information about our Term 3 program. Meets Friday each week at 7:30pm. Next meet is on Friday 3 November at 19 Perseverance Road TTG. Come for a great time of games, friendship and bible discussion. Phone Dave on 0403 723 953 for more details or click here. Normal Weekly Services – Check out our website for more details. Sunday@10: Family service and specific children’s ministries. Communion on third Sunday of every month. Sunday@6.00pm: Youth, young adult and those young at heart. Communion first Sunday of every month. There is no children’s program but drawing supplies and a withdrawal room are available for your young ones.